Bursting with color and dramatic focal points, these exceptional interiors offer exclusive access into the homes of Paris’s finest art and antiques aficionados. The magic of Paris is distinctly captured in its interiors: windows are tall, and rooms have high ceilings with grand architectural details; but the real charm comes in the thoughtfully selected elements that bring those spaces to life. 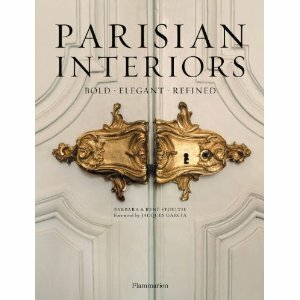 Paris is rife with antique collectors, art historians, architects, and interior designers who dedicate their lives to the contemplation of each element that goes into the ideal interior. Barbara and René Stoeltie invite us inside the private oases of twenty of the city’s celebrated interiors gurus, capturing in vivid photographs these havens of perfection, brimming with inspiration for the home. While each interior is distinctly unique, they all draw from a rich historical tradition of decorative arts combined with an instinctive desire to reinvent itself, mixing the best elements from different epochs with contemporary art, bold colors, or surprising pattern combinations. A foreword from Jacques Garcia, with his gracious nod to the great Madeleine Castaing, opens this handsome volume.